PITTSBURGH, PA and STAMFORD, CT – July 12, 2017 – First Insight, Inc., a technology company transforming how leading retailers make product investment and pricing decisions, today announced an agreement with vineyard vines®, the Connecticut-based retail brand best known for its smiling pink whale logo and Martha’s Vineyard inspired clothing and accessories for men, women and children. As part of the agreement, First Insight will use its online social engagement tools to gather real-time product pricing and sentiment data from vineyard vines customers. This data will then be analyzed by First Insight’s predictive models to enable vineyard vines to more quickly and accurately make design, buying and pricing decisions that improve sales, margins and inventory turnover both in stores and online. “Through First Insight’s predictive analytics, we will gain visibility into our customers’ preferences in a way that hasn’t been possible for us before,” said Mike Gaumer, president of vineyard vines. “By bringing winning products to market that align with the needs of our distinct customer base, we will increase traffic both in-store and online while engaging our customers more effectively. We validated the ROI of the First Insight solution through measuring a direct increase in online conversions and full-price sales. Ultimately First Insight is helping us deliver on two of our corporate goals; building great relationships with our customers and driving profitable sales." vineyard vines®, a brand best known for its smiling pink whale logo, was founded in 1998 on Martha's Vineyard when brothers Shep and Ian Murray cut their ties with corporate America to start making ties that represented the Good Life. 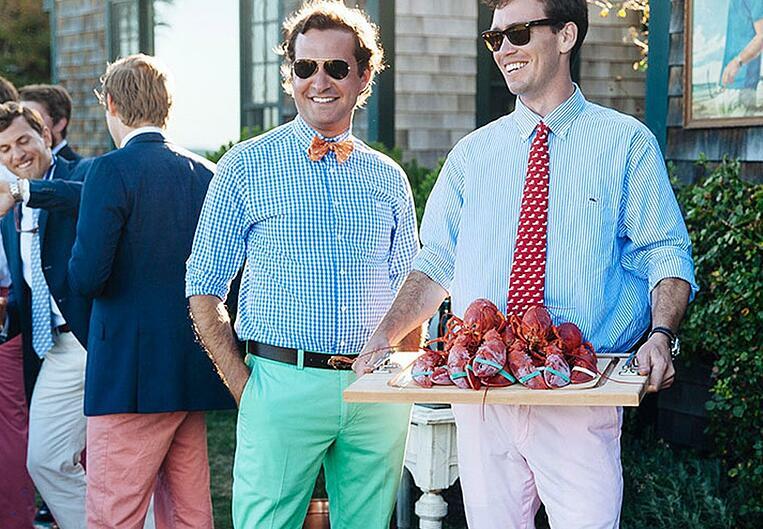 In addition to signature neckwear, vineyard vines offers a variety of clothing and accessories for men, women and children. Products are sold in over 600 specialty and department stores worldwide, through a seasonal catalog at 1.800.892.4982, online at vineyardvines.com and at over one hundred freestanding stores.